Items where Subject is "000 COMPUTER SCIENCE, INFORMATION & GENERAL WORKS > 000 COMPUTER SCIENCE & INFORMATION > 001 Knowledge"
Number of items at this level: 248. Aiken, Joan and Eldridge, Jim (2004) Snow horse and the other stories. White wolves . A&C Black, London. Aspden, William, Pegg, Graham, van Herwerden, Lynne, Newman, Stephen J. and Sinclair, Billy (2007) Population genetics of Red Throat Emperor of Australian east and west coasts and Norfolk Island based on mitochondrial DNA sequence. In: 7th Indo-Pacific Fish Conference, 16 - 21 May 2005, Taipei, Taiwan. Asquith, Simon (2002) Assessing the Standards. In: Simco, Neil and Wilson, Tatiana, (eds.) Primary initial teacher training and education : revised standards, bright future? Teaching Handbooks . Learning Matters, Exeter, pp. 70-81. Bendell, Jem and Doyle, Ian (2014) Healing capitalism: five years in the life of business, finance and corporate responsibility. Greenleaf Publishing. Bloxham, Susan (2014) Assessing assessment: new developments in assessment design, feedback practices and marking in higher education. In: Fry, Heather, Ketteridge, Steve and Marshall, Stephanie, (eds.) A handbook for teaching and learning in higher education: enhancing academic practice, 4th edition. Taylor & Francis (Routledge), Abingdon and New York, pp. 107-122. Bloxham, Susan (2012) ‘You can see the quality in front of your eyes’: grounding academic standards between rationality and interpretation. Quality in Higher Education, 18 (2). pp. 185-204. Booth, Lisa and Kada, Sundaran (2015) Student radiographers' attitudes toward the older patient: an intervention study. Radiography, 21 (2). pp. 160-164. Boyd, Pete and Bloxham, Susan (2013) A situative metaphor for teacher learning: the case of university tutors learning to grade student coursework. British Educational Research Journal, 40 (2). pp. 337-352. Boyd, Pete, Smith, Caroline and Beyaztas, Dilek Ilhan (2014) Evaluating academic workplaces: the hyper-expansive environment experienced by university lecturers in professional fields. International Journal for Academic Development, 20 (1). pp. 18-32. Bradshaw, Penelope (2004) Amelia Opie. In: Murray, Christopher John, (ed.) Encyclopedia of the romantic era, 1760-1850. Routledge, London, pp. 830-831. Bradshaw, Penelope (2004) Charlotte Bronte. In: Murray, Christopher John, (ed.) Encyclopedia of the Romantic Era, 1760–1850. Routledge, London, pp. 122-124. Bradshaw, Penelope (2012) Christopher at the Lakes : Volume One - The Lake Poems of John Wilson. Bookcase, Carlisle. Bradshaw, Penelope (2012) 'Living at our Full Compass': Michael Roberts and the Poetry of Mountaineering. The Alpine Journal, 116 . pp. 229-237. Bradshaw, Penelope (2009) Women Romantic Poets. In: Lemon, Rebecca, Mason, Emma, Roberts, Jonathan and Rowland, Christopher, (eds.) The Blackwell Companion to the Bible in English Literature. Wiley-Blackwell, Oxford, pp. 383-396. Clarke, Noel and Eldridge, Jim (2010) 4.3.2.1: Based on the Screenplay by Noel Clarke. Bloomsbury Publishing PLC, London. Clarke, Noel and Eldridge, Jim (2006) Kidulthood. Bloomsbury, London. Curnow, Trevor (2006) Ancient Philosophy and Everyday Life. Cambridge Scholars Publishing, Newcastle upon Tyne. Curnow, Trevor (2006) Antiphon of Rhamnus, Philosophical Counsellor. In: Rastrojo, Jose Barrientos, (ed.) Entre Historia y Orientacion: volumen 1, Filosofia Antigua, Medieval y Moderna. Ediciones X-XI, Seville. Curnow, Trevor (2005) Marathon. In: O'Grady, Patricia F., (ed.) Meet the philosophers of Ancient Greece: everything you always wanted to know about Ancient Greek philosophy but didn't know who to ask. Ashgate, Aldershot, pp. 281-284. Curnow, Trevor (2008) Minor Sophists. In: O'Grady, Patricia F., (ed.) The Sophists: an introduction. Duckworth Academic, London. Curnow, Trevor (2004) The Oracles of the Ancient World. Duckworth Publishing, London. Curnow, Trevor (2007) Pantokrator: An Introduction to Orthodoxy. Cambridge Scholars Publishing, Newcastle upon Tyne. Curnow, Trevor (2006) The Philosophers of the Ancient World: an A-Z Guide. Ancient Philosophy . Duckworth Publishing, London. Curnow, Trevor (2005) What is philosophy? In: O'Grady, Patricia F, (ed.) Meet the philosophers of Ancient Greece: everything you always wanted to know about Ancient Greek philosophy but didn't know who to ask. Ashgate, Aldershot, pp. 7-8. Curnow, Trevor (2010) Wisdom in the Ancient World. Duckworth Publishing, London. Darwell, John (2014) Allonby beach. [Show/Exhibition] In: Sea Change: the Art of England's North West Coast, 23 August - 9 November 2014, Atkinson Gallery, Southport, UK. 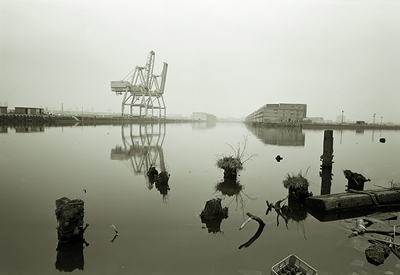 Darwell, John (1987) The big ditch: the Manchester Ship Canal seen through the camera of John Darwell. Countryside Publications, Chorley, UK. Dewhurst, Susan, Peacock, Leslie and Bampouras, Theodoros (2015) Postural stability of older female Scottish country dancers in comparison to physically active controls. Journal of Aging and Physical Activity, 23 (1). pp. 128-132. Diggle, Jeremy (2014) Asemic writing. In: Farthing, Stephen and McKenzie, Janet, (eds.) The drawn word. Studio International and the Studio Trust, New York and London. Eldridge, Jim (2002) Armada: The Story of Thomas Hobbs, England 1587-1588. My Story . Scholastic, London. Eldridge, Jim (2010) Badlands : Death in Drygulch. Badlands . Catnip, London. Eldridge, Jim (2010) Badlands : Range Wars. Catnip, London. Eldridge, Jim (2012) The Deadly Game. The Malichea Quest . Bloomsbury, London. Eldridge, Jim (2010) Death in the Desert. Egmont Books Ltd, London. Eldridge, Jim (2005) Desert Danger - Tim Jackson, North Africa WWII. My Story . Scholastic, London. Eldridge, Jim (2004) Desert Duel. Double Take . Scholastic, London. Eldridge, Jim (2009) Disgusting Dave and the Farting Dog. Hodder Children's Books, London. Eldridge, Jim (2010) Disgusting Dave and the Flesh Eating Maggots. Hodder Children's Books, London. Eldridge, Jim (2009) The Dunkirk Escape. Solo . Barrington Stoke Ltd, Edinburgh. Eldridge, Jim (2012) The Invisible Assassin. The Malichea Quest . Bloomsbury, London. Eldridge, Jim (2010) Jungle Kill. Black Ops . Egmont Books Ltd, London. Eldridge, Jim (2004) Jungle War: SAS. Puffin Books, London. Eldridge, Jim (2006) "King Street Junior" the Inside Story : The Story of Radio 4's Long-running Comedy-drama School Series by Its Creator and Writer. Greenfinch Park Ltd, Bowness on Solway. Eldridge, Jim (2010) Pyramid of Secrets. My Story . Scholastic. Eldridge, Jim (2008) Roman Invasion. My Story . Scholastic, London. Eldridge, Jim (2004) Secret Assault. Puffin Books, London. Eldridge, Jim (2010) Sink the Tirpitz. Solo . Barrington Stoke, Edinburgh. Eldridge, Jim (2002) Spies and Special Forces! Chicken House, Frome. Eldridge, Jim (2004) Spy Smuggler: Paul Lelaud France 1942-1944. My Story . Scholastic, London. Eldridge, Jim (2010) The Sweep's Boy. My Story . Scholastic, London. Eldridge, Jim (2008) The Trenches - a First World War Soldier 1914 - 1918. My Story . Scholastic, London. Eldridge, Jim (1992) Victor and Hugo's Completely Misleading Guide to Crime. Red Fox, London. Eldridge, Jim (2009) War Stories for Boys. My Story Collections . Scholastic, London. Eldridge, Jim (2006) A canny history of Carlisle. Canny Histories . Bookcase, Carlisle. Eldridge, Jim and Eldridge, Duncan (2004) The Complete How to Handle Grown-ups. Red Fox, London. Eldridge, Jim and West, Colin (1984) The wobbly jelly joke book. Sparrow Books, London. Fowler, Martin (2014) Scotland the brave: a graphic history of Scotland 1514-2014. Word Power Books, Edinburgh, UK. Garner, W., Norton, Lin S., Asquith, Simon, Beaumont, A. and Caldecott, S. (2002) The distance learning task as a pedagogical context for learning technologies: are students' and tutors' perceptions similar? In: Rust, Chris, (ed.) Improving student learning using learning technology: Proceedings of the 9th Improving Student Learning Symposium, 2001. Oxford Centre for Staff & Learning Development, Oxford. Haywood, Mark (2006) Car Parcs and Center Parks. 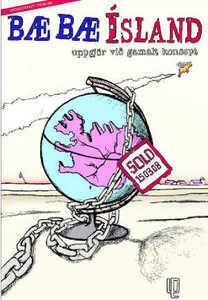 In: Huijbens, Edward H. and Jónsson, Ólafur Páll, (eds.) Sensi/able spaces : space, art and the environment : proceedings of the SPARTEN conference, Reykjavík, June 1st and 2nd, 2006. Cambridge Scholars Publishing, Newcastle upon Tyne. Haywood, Mark (2005) Car parks and Center Parcs. In: Brundrett, Kate and Thorn, Hilary, (eds.) FRED: the story of an art invasion. FoldPress, Kirkby Stephen. Haywood, Mark (2008) A Clear View of the Lakes From West to East. In: Wordsworth Summer Conference, The Wordsworth Trust, 30 July to 9 August, 2008, Grasmere. Haywood, Mark (2009) Concerning the Increasing Visual Complexity of Professional Football Strips. In: The Visual Turn in Sport, 13th and 14th June 2009, University of Bristol. Haywood, Mark (2002) Coniston Water from Turner to Bluebird: the changing nature of English romanticism and shifting perceptions of the sublime. In: The Proceedings of the 17th Annual Conference of the South African Association of Art Historians. University of Natal, Durban. Haywood, Mark (2006) The Export / Import of Highland Wilderness. In: The Lie of the Land: Scottish Landscape and Culture, July 2006, University of Stirling. Haywood, Mark (2002) From desire to design. In: Patrizio, Andrew, (ed.) 292: Essays in visual culture #3. Edinburgh College of Art, Edinburgh. Haywood, Mark (2002) Imagine the city. In: Younge, Gavin, (ed.) Salt River Soliloquies. Bell-Roberts Gallery, Cape Town. Haywood, Mark (2008) In Pursuit of the Bluebird of Happiness. In: E-motion: Sentiment and Technology, 17th and 18th May 2008, Fatih University, Istanbul. Haywood, Mark (2007) Morphologies of beauty evolutionary psychology and the genetically relayed appeal of biomorphic design. In: Design History Society Annual Conference, Sept 2006, Delft University of Technology, Netherlands. Haywood, Mark (2007) One Body Politic: Metamorphosis of Place Reflected in Face. In: 2nd Annual Transdisciplinary Literary & Cultural Studies Conference, May 24th to 26th 2007, Fatih University, Istanbul. Haywood, Mark (2006) One Body Politic: the Middlesbrough 150 project. In: Eyes on the City: Annual Conference of the International Visual Sociology Association, 3rd to 5th July 2006, University of Urbino. Haywood, Mark (2004) Our Barn is Empty Again. [Show/Exhibition] In: Our Barn is Empty Again,, 2004, Glassonby, Cumbria. Haywood, Mark (2008) Post-nature, Post-wilderness: semio(p)tics of animal display in South Africa. In: Past the Last Post: the 24th Annual conference of South African Visual Arts Historians, 4th to 6th September 2008, University of Stellenbosch. Haywood, Mark (2008) The Retail and Re-telling of ‘Wilderness’. In: From Brazil to Macao: Travel Writing and Diasporic Spaces, 10th to 14th September 2008, University of Lisbon. Haywood, Mark (2007) The Sensual Metonymy of the Biomorphic Chair. In: Design History Society Annual Conference, 5th-7th September 2007, Kingston University. Haywood, Mark (2008) Shifting the Scenery and Restaging the Picturesque. In: West, Thomas and Hill, Gerard M.F., (eds.) A guide to the Lakes in Cumberland, Westmorland and Lancashire, 14th ed. Unipress Cumbria, Carlisle. Haywood, Mark (2006) Sustainability and contemporary art. Praesens: Central European contermporary art review . Haywood, Mark (2009) Those animals that are found in urban places. In: Younge, Gavin, Tully, Ann-Marie and Britz, Sonja, (eds.) Urban Animal. Art+ Text, Cape Town. Haywood, Mark (2009) Traversing the ‘Wet Sahara’ and Graphic Representations of Humanoid and non-Human Animals at the Johannesburg Zoo. In: Appreciating the views: how we're looking at the social and visual landscape: International Visual Sociology Association Conference, July 22nd to 24th 2009, University of Cumbria. Haywood, Mark and Newall, Amanda (2006) Romantic Seduction and Power. [Show/Exhibition] In: Romantic Seduction and Power, site-specific installations, 2006, Ullswater and the UK Nuclear Decommissioning Authority HQ. Hendry, Diana and Eldridge, Jim (2004) Swan boy. White wolves . A&C Black, London. Hoelterhoff, Mark and Chang, Kirk (2010) Membership stability and performance - a study of baseball clubs and laboratory groups. In: Abstracts of the 27th International Congress of Applied Psychology, 11-16th July 2010, Melbourne, Australia. Huggins, Mike (2007) The Victorians and sport. Hambledon Continuum, London. Huggins, Mike and Williams, Jack (2006) Sport and the English, 1918-1939: between the wars. Routledge / Taylor and Francis, London. Hymer, Barry (2013) An act of GRACE? What do contemporary understandings in psychology have to contribute to the future of gifted education? Gifted Education International, 29 (2). pp. 108-124. Hymer, Barry and Gershon, Mike (2014) Growth mindset pocketbook. Teachers' Pocketbooks. Hymer, Barry, Watkins, Chris, Dawson, Elizabeth and Buxton, Ruth (2015) Embedded voices: building a non-learning culture within a learning enrichment programme. Gifted Education International, 31 (1). pp. 5-24. Jones, Alison and Sinclair, Billy (2007) Make every dive count. The UnderSea Journal, 3rd Qu . Kele, B., Bembridge, Jodie, Hood, Barry, Midmore, D., Percival, Ross and Sinclair, Billy (2007) Explaining the mysteries of nitrogen and phosphorous in on-site wastewater. In: Patterson, Robert A. and Jones, Malcolm J., (eds.) Innovation and Technology for On-site Systems: Proceedings of On-site '07 Conference. Lanfax Laboratories, Armidale, Australia, pp. 191-198. Kelsey, Jan and Taylor, Paul (2005) Haven. [Show/Exhibition] In: Haven, Dates between 5th March 2005 and 10th November 2006, Various venues (internationally). Kelsey, Jan and Taylor, Paul (2006) Negotiated Practice and the Socialisation of Art. In: Creative Dates II, North West Art & Design Research Group, 22nd September 2006, Liverpool John Moores University. Leslie, Andrew (2008) Short rotation forestry: goose that lays the golden eggs or dead duck? Forestry and Timber News . Leslie, Andrew, Mencuccini, Maurizio, Purse, John G. and Perks, Mike P. (2014) Results of a species trial of cold tolerant eucalypts in south west England. Quarterly Journal of Forestry, 108 (1). p. 18. Leslie, Andrew, Wilson, Edward R. and Starr, Christopher (2007) Would the last forestry graduate turn out the lights? Forestry and Timber News . pp. 27-28. Light, Duncan, Dumbraveanu, D and Asquith, Simon (2002) Smuggling and the Border Landscape of South West Romania. In: Light, Duncan and Phinnemore, David, (eds.) Post-Communist Romania: Geographical Perspectives. Liverpool Hope Press, Liverpool, pp. 107-114. MacDonald, Iain, Woodhouse, N., Elliott, C., Armstrong, I., Kiely, D.G., Marshall, Gill and van Beek, E.J.R. (2004) Increased pulmonary artery to aortic ratio measured using magnetic resonance imaging identifies patients with pulmonary hypertension. Thorax, 59 (1Supp2). p. 8. McGregor, Richard (2009) Appendix II: source material used in the works of Peter Maxwell Davies, 1957–2006. In: Gloag, Kenneth and Jones, Nicholas, (eds.) Peter Maxwell Davies studies. Cambridge Composer Studies . Cambridge University Press, Cambridge, UK, pp. 242-254. Mee, Steve (2012) Valuing people with a learning disability. M & K Publishing, Keswick. Moeller, Karl (2008) Amos. In: Vanhoozer, Kevin, Bartholomew, Craig and Treier, Daniel, (eds.) Theological Interpretation of the Old Testament: a Book-by-Book Survey. Baker Academic / Society for Promoting Christian Knowledge, Grand Rapids / London, pp. 257-262. Moeller, Karl (2008) Bibliography of the Writings of Gordon J. Wenham. In: McConville, J. Gordon and Moller, Karl, (eds.) Reading the law : studies in honor of Gordon J. Wenham. Library of Hebrew Bible/Old Testament studies . T & T Clarke International, London, pp. 297-302. Moeller, Karl (2002) Die Religion der Kanaanäer. In: Pehlke, Helmuth, (ed.) Zur Umwelt des Alten Testaments. Scm Hänssler, Germany, pp. 188-217. Moeller, Karl (2013) "Du bist so schön, meine Geliebte": Die Bewunderung des Körpers in Hohelied 4,1–7. In: Arnold, Tina, Hillbrands, Walter and Wenzel, Heiko, (eds.) Herr, was ist der Mensch, dass du dich seiner annimmst? (Psalm 144,3) [Lord, what is man, that you care for him?]. SCM R.Brockhaus im SCM-Verlag, Bodenborn, Germany, pp. 127-146. Moeller, Karl (2004) Out of Egypt: Biblical Theology and Biblical Interpretation. Scripture and hermeneutics series, 5 . Zondervan / Paternoster Press, Grand Rapids / Bletchley. Moeller, Karl (2009) A Prophet in Debate: The Rhetoric of Persuasion in the Book of Amos. The Library of Hebrew Bible/Old Testament Studies . Sheffield Academic Press, London. Moeller, Karl (2005) Prophets and Prophecy. In: Arnold, Bill T. and Williamson, H.G.M., (eds.) Dictionary of the Old Testament: Historical Books. The IVP Bible Dictionary Series . InterVarsity Press, Westmont, Illinois, pp. 825-829. Moeller, Karl (2014) Reading Amos as a book. Grove Biblical Series, B74 . Grove Books, Cambridge, England. Ottitsch, Andreas, Michie, Bruce, Palahi, Marc and Wardle, Philip (2005) Changes in the Forest Sector in Europe and Russia. In: Mery, Gerardo, Alfaro, Rene, Kanninen, Markku and Lobovikov, Maxim, (eds.) Forests in the Global Balance – Changing Paradigms. IUFRO, Helsinki, pp. 231-242. Pegg, Graham, Aspden, William, Briskey, Leica, Browne, J., Yuen, B., Sinclair, Billy and Miskiewicz, T. (2006) A comparison of marine fish larvae identification outcomes using mtDNA and morphological characteristics. In: Australian Society for Fish Biology 2006 Conference on Cutting-edge Technologies in Fish & Fisheries Science, 28 August – 1 September 2006, Hotel Grand Chancellor, Hobart, Tasmania, Australia. Pegg, Graham, Sinclair, Billy, Briskey, Leica and Aspden, William (2006) Forensic examination of reef fish using mtDNA barcoding and otolith microchemistry analysis. In: ﻿ANZFSS 18th International Symposium on the Forensic Sciences: Classroom to Courtroom, 6 - 7 April 2006, Esplanade Hotel, Freemantle, Australia. Pegg, Graham, Sinclair, Billy, van Herwerden, Lynne, Newman, Stephen J. and Aspden, William (2005) Larval mobility of Australian east and west coast Red Throat Emperor (Lethrinus miniatus) inferred from population genetics studies. In: 29th Annual Larval Fish Conference, 11 - 14 July 2005, University Pompeu Fabra, Barcelona, Spain. Philpott, Carey, Scott, Helen and Mercier, Carrie (2014) Initial teacher education in schools: a guide for practitioners. Sage. Pitcher, Caroline and Eldridge, Jim (2004) The gods are watching. Black cats . A&C Black, London. Powell, Jillian and Eldridge, Jim (2005) Mummies. Read it yourself, Level2 . Ladybird, London. Quigley, Cally, Armstrong, Roy, Nevin, Owen and Ramsey, Andrew D. (2008) A study of the winter diet of reintroduced red kites (Milvus milvus) from North East England. In: Symposium of the Zoological Society of London (ZSL): Avian Reintroduction Biology, 8-9 May 2008, The Zoological Society of London, UK. Quigley, Cally, Ramsey, Andrew D. and Nevin, Owen (2009) Wildlife corridors for red squirrels; defining contiguous and non-contiguous habitat for connecting woodland fragments. In: 2nd European Congress of Conservation Biology, 1-5 September 2009, Czech University of Life Sciences, Prague, Czech Republic. Radcliffe, Ann (2015) Ann Radcliffe’s observations during a tour to the Lakes. Bookcase, Carlisle. Rohr, Doris (2005) North: drawings and text by Doris Rohr; edited by Mark Haywood. Unipress Cumbria, Carlisle. Sewell, Keira, Lakin, Liz, Mason, David, Woodgate-Jones, Alex, Cain, Tim and Domaille, Kate (2008) Doing your PGCE at M-Level : A guide for students. SAGE, London. Shone, Rob and Eldridge, Jim (2006) Atlantis: and other lost cities. Graphic Mysteries . Book House, Brighton. Sinclair, Billy and Jones, Alison (2007) Climate Change, Global Warming and Glowing Coral and Coral Reefs - what's going on? Diver, 122 . Sinclair, Billy, Pegg, Graham, van Herwerden, Lynne, Newman, Stephen J. and Aspden, William (2005) Genetic differences between Australian east and west coast red throat emperor (lethrinus miniatus) based on mitochondrial DNA sequence analysis. In: 7th International Marine Biotechnology Conference, 7 -12 June 2005, St Johns, Newfoundland, Canada. Smith, Caroline and Boyd, Pete (2012) Becoming an academic: the reconstruction of identity by recently appointed lecturers in nursing, midwifery and the allied health professions. Innovations in Education and Teaching International, 49 (1). pp. 63-72. Snaebjornsdottir, Bryndis and Wilson, Mark (2009) Between you and me. [Show/Exhibition] In: Between You and Me, Snæbjörnsdóttir & Wilson + a selection from the Kalmar konstmuseum & the Design Archive collection, 29 August - 8 November 2009, Kalmar Museum, Sweden. Snaebjornsdottir, Bryndis and Wilson, Mark (2009) Between you and me. [Show/Exhibition] In: Between you and me, 16 July - 1 August 2009, Pod Space Gallery, Newcastle, NSW, Australia. Snaebjornsdottir, Bryndis and Wilson, Mark (2009) Between you and me. [Show/Exhibition] In: Between you and me, March - April 2009, Glashuset Gothenburg, Sweden. Snaebjornsdottir, Bryndis and Wilson, Mark (2004) Big mouth. Tramway, Glasgow, UK. Snaebjornsdottir, Bryndis and Wilson, Mark (2010) Contested space: uncertainty in the city. In: Animal Movements: Moving Animals: a symposium on direction, velocity and agency in humanimal encounters, 27-28 May 2010, Uppsala University, Sweden. Snaebjornsdottir, Bryndis and Wilson, Mark (2009) Great white bear: nanoq: flat out and bluesome. [Show/Exhibition] In: Nanoq - flat out and bluesome, 27th November 2009 – 9th January 2010, Worcester City Art Gallery & Museum, UK. Snaebjornsdottir, Bryndis and Wilson, Mark (2012) Nanoq. In: Poliquin, Rachel, (ed.) The breathless zoo: taxidermy and the cultures of longing. Animalibus of animals and cultures series . Penn State University Press, Pennsylvania, US, pp. 2-11. Snaebjornsdottir, Bryndis and Wilson, Mark (2008) Nanoq - flat out and bluesome. [Show/Exhibition] In: Nanoq - flat out and bluesome, 13 May - 20 August 2008, Scott Polar Research Institute, Cambridge, UK. Snaebjornsdottir, Bryndis and Wilson, Mark (2009) Nanoq - flat out and bluesome. [Show/Exhibition] In: Nanoq - flat out and bluesome, 24 January - 5 April 2009, New Walk Museum, Leicester, UK. Snaebjornsdottir, Bryndis and Wilson, Mark (2007) Nanoq - flat out and bluesome. [Show/Exhibition] In: Nanoq - flat out and bluesome, 30 November 2007 - 1 September 2008, Fram Museum, Oslo, Norway. Snaebjornsdottir, Bryndis and Wilson, Mark (2007) Nanoq - flat out and bluesome. [Show/Exhibition] In: Nanoq - flat out and bluesome, 14 March - 30 April 2007, The Nordic House, Thorshavn, Faroe Islands. Snaebjornsdottir, Bryndis and Wilson, Mark (2010) Nanoq - flat out and bluesome [photographic installation]. [Show/Exhibition] In: Nanoq - flat out and bluesome, 15 November 2010 - 15 April 2011, Svalbard Museum, Longyearbyen, Svalbard, Norway. Snaebjornsdottir, Bryndis and Wilson, Mark (2008) Pests, pets and prey – uncertainty in the city. [Show/Exhibition] In: Animal Gaze, 18 November - 12 December 2008, London Metropolitan University, UK. Snaebjornsdottir, Bryndis and Wilson, Mark (2008) Polar shift. [Show/Exhibition] In: Heat – Art and Climate Change, 17 September - 18 October 2008, RMIT Gallery, Melbourne, Australia. Snaebjornsdottir, Bryndis and Wilson, Mark (2009) Radio Animal at Broughton Hall Game Fair. [Show/Exhibition] In: Radio Animal, 28 June 2009, Broughton Hall Game Fair, Skipton, UK. Snaebjornsdottir, Bryndis and Wilson, Mark (2009) Radio Animal at Egremont Crab Fair. [Show/Exhibition] In: Radio Animal, 19 September 2009, Egremont Crab Fair, Cumbria, UK. Snaebjornsdottir, Bryndis and Wilson, Mark (2009) Radio Animal at Grizedale Arts. [Show/Exhibition] In: Radio Animal, 13 November 2009, Grizedale Arts, Cumbria, UK. Snaebjornsdottir, Bryndis and Wilson, Mark (2009) Radio Animal at Interspecies. [Show/Exhibition] In: Interspecies, 1-4 October 2009, A Foundation London, Rochelle School, London, UK. Snaebjornsdottir, Bryndis and Wilson, Mark (2009) Radio Animal at Lancaster Garden and Country Fair. [Show/Exhibition] In: Radio Animal, 6-7 June 2009, Lancaster Garden and Country Fair, UK. Snaebjornsdottir, Bryndis and Wilson, Mark (2009) Radio Animal at Lancaster Market Square. [Show/Exhibition] In: Radio Animal, 23 October 2009, Lancaster Market Square, UK. Snaebjornsdottir, Bryndis and Wilson, Mark (2010) Radio Animal at Lanercost Priory. [Show/Exhibition] In: Radio Animal, 10 July 2010, Lanercost Priory, Cumbria, UK. Snaebjornsdottir, Bryndis and Wilson, Mark (2010) Snaebjörnsdóttir/Wilson. In: McKinley, R., (ed.) Corridor 8 contemporary visual art & writing annual: the borderlands edition, 2. Michael Butterworth, Manchester, UK. Snaebjornsdottir, Bryndis and Wilson, Mark (2010) The empty wilderness: seals and animal representation. In: Benediktsson, Karl and Lund, Katrin, (eds.) Conversations with landscape. Anthropological Studies of Creativity and Perception . Ashgate, Farnham, UK, pp. 211-226. Snaebjornsdottir, Bryndis and Wilson, Mark (2010) nanoq - flat out and bluesome [photographic exhibition]. [Show/Exhibition] In: Nanoq - flat out and bluesome, 13 February - 11 July 2010, The Manchester Museum, Manchester, UK. Snaebjornsdottir, Bryndis and Wilson, Mark (2010) nanoq: flat out and bluesome. [Show/Exhibition] In: Sedition, 18 September - 28 November 2010, Tullie House Museum, Carlisle, UK. Snaebjornsdottir, Bryndis and Wilson, Mark (2009) A safe passage. In: Farrell, Rosie, Harrington, Rosie, Hutchinson, James and Young, Lesley, (eds.) Art Prize. Salford Restoration Office on behalf of Manchester Metropolitan University, Manchester, UK. Snaebjornsdottir, Bryndis and Wilson, Mark (2008) Íslenskir fuglar. [Show/Exhibition] In: Bæ bæ Ísland, 15 March - 11 May 2008, Akureyri Art Museum, Akureyri, Iceland. Snaebjornsdottir, Bryndis, Wilson, Mark, Baker, Steve and Birrell, Ross (2007) Bryndís Snæbjörnsdóttir/Mark Wilson in conversation with Steve Baker and Ross Birrell: on animals, death and Derrida’s cat. Art & Research : A Journal of Ideas Contexts and Methods, 1 (2). Snaebjornsdottir, Bryndis, Wilson, Mark, Broglio, Ron and Cheatham, Robert (2007) Delayed: live from Edge City (podcast). [Show/Exhibition] In: Delayed: Live from Edge City, 9 April 2007, Georgia Tech (Georgia Institute of Technology), Atlanta, GA, US. Snaebjornsdottir, Bryndis, Wilson, Mark and Fudge, Erica (2010) Animals in proximity and the broken skin: mice, rats, moles, bats and bugs. [Show/Exhibition] In: Uncertainty in the City: Pests, Pets, and Prey: Talks on Art, 16 October 2010, Lancaster, UK. Snaebjornsdottir, Bryndis, Wilson, Mark and Lurz, Peter (2010) The desirable neighbour and the threat of the new: red squirrel, grey squirrel and Pandora’s box. [Show/Exhibition] In: Uncertainty in the City: Pests, Pets, and Prey: Talks on Art, 13 November 2010, Lancaster, UK. Snaebjornsdottir, Bryndis, Wilson, Mark and Wilbert, Chris (2010) The wild and the cultivated and schisms in paradise-imaging: raptors, pigeons, the real and the fancied. [Show/Exhibition] In: Uncertainty in the City: Pests, Pets, and Prey: Talks on Art, 30 October 2010, Lancaster, UK. Stevenson-Holt, Claire D., Nevin, Owen, Ramsey, Andrew D., Watts, Kevin and Bailey, Sallie (2009) A validation of behaviourally-informed landscape models using historical observations of species invasion. In: 2nd European Congress of Conservation Biology, 1-5 September 2009, Czech University of Life Sciences, Prague, Czech Republic. Sugarman, Leonie (1986) Counselling and computers: introduction and overview. British Journal of Guidance and Counselling, 14 (1). pp. 1-11. Swift, John (2001) Labour in Crisis: Clement Attlee and the Labour Party in Opposition, 1931-40. Palgrave Macmillan. Taylor, Paul and Kelsey, Jan (2007) Home Sweet Home. [Show/Exhibition] In: Home Sweet Home, Dates between 6th June to 29th November 2007, Various locations in Cumbria. Toomey, Rachel, Curran, Kathleen, D'Helft, C., Joyce, Maria B., Stowe, John, Ryan, John, McEntee, Mark F., Manning, David J. and Brennan, Patrick (2008) Visual adaptation: softcopy image contribution to the observer's field of view. In: Sahiner, Berkman and Manning, David J., (eds.) Medical Imaging 2008: Image Perception, Observer Performance, and Technology Assessment (Proceedings Volume). Society of Photo-optical Instrumentation Engineers (SPIE), Bellingham, WA, USA. Walsh, Mike (2012) Virtual Communities and Narrative Pedagogy: A 21st Century Learning Strategy. In: Gillies, Robyn M., (ed.) Pedagogy: New Developments in the Learning Sciences. Education in a Competitive and Globalizing World . Nova, Brisbane, Australia, pp. 47-64. West, David, Gaff, Jackie and Eldridge, Jim (2005) Hernan Cortes: the life of a Spanish conquistador. Book House, Brighton. Williams, Rachel C., Dawson, Deborah A., Horsburgh, Gavin J. and Sinclair, Billy (2014) Isolation and characterisation of microsatellite loci for the ancient cephalopod, Nautilus pompilius. Conservation Genetics Resources, 7 (1). pp. 107-111. Wilson, Mark and Snaebjornsdottir, Bryndis (2006) nanoq: flat out and bluesome: a cultural life of polar bears. Black Dog Publishing, London, UK. This list was generated on Fri Apr 19 04:04:51 2019 UTC.